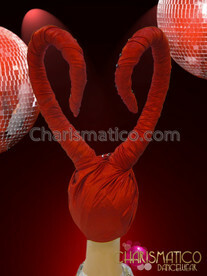 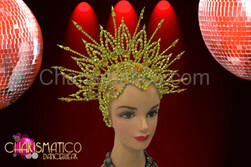 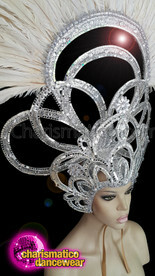 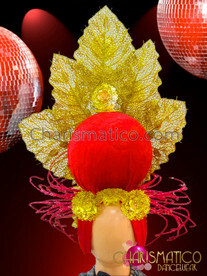 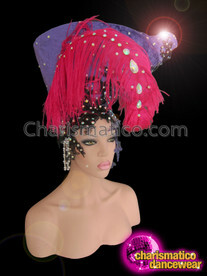 This showgirl’s headdress is meant to give a royal impact to the show. 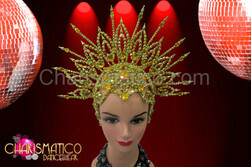 The queen like headdress resembles a crown in its crafting and is studded with red crystals on a golden frame for a marvelous effect on the onlookers. 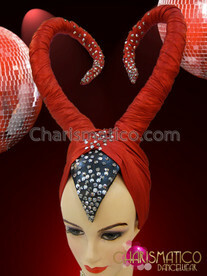 This one is sure to be the highlight of the costume.